Field of application - Centre Tomatis de Paris. The integration of foreign languages. 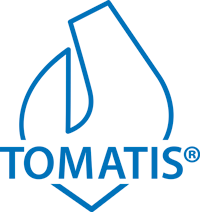 TOMATIS DEVELOPPEMENT S.A., the sole holder of the Tomatis® Method, continues the tradition of its founder while striving to make the Method more comprehensible, accessible and, of course, more efficient thanks to technological and scientific advances. Our company combines 50 years of experience with the Tomatis® Method with the latest research in neuroscience and cognitive science to develop innovative and non-intrusive products to optimize learning, listening and communication processes. Because the ear is a system of sensory integration, it plays an effective role in many areas. Other learning disabilities related to the development of oral language are grouped under the term dysphasia. Others are concerned with programming and the acquisition of learned gestures and correspond to dyspraxia. – the component concerning the degree of attention, its intensity. It corresponds to a general state of awakening and vigilance which allows the nervous system to be receptive to any form of information reaching it. The action of our method on this component of attention refers to what is called the “charge function” or “dynamogenic function” of the ear. It will concern children or adults who can not remain concentrated for sufficiently long periods on a work to be performed, even if it requires little intellectual effort and is routine or familiar (for example, Revision or recopying work). – the selective component of attention. It is about the ability to focus on certain elements of a situation, while inhibiting those that are deemed irrelevant. It is therefore at the same time the ability to resist distraction and to discriminate appropriate information from those that are not. The action of our method on this form of attention is directed at anyone qualified as distracted, and suffering from frequent attentional stalls that can cause confusion of meaning. A particular modality of selective attention is the divided attention which is the ability to be able to share one’s attention among several sources of information or tasks to perform. This attentional modality, very costly on the cognitive level, constitutes, when it is failing, a source of difficulty or suffering considerable for the child in school situation. If we see the importance of moving to maintain our bodies, we do not always realize that it is as important to maintain our brain. It is by stimulating it by sending sensory messages that it energizes us and relaxes us. As the ear is the most important channel for the passage of sensory messages from the human body, one can easily understand its role. This stimulation may be deficient when the brain triggers a mechanism of inhibition or protection. This mechanism can occur as a result of a traumatic punctual event called emotional shock. The brain also tends to protect itself progressively when the external environment aggresses it. This may be the case for people facing a reorganization of the rhythm of life, increased responsibilities, loss of reference points, social pressure … The motivations behind a Tomatis® approach to personal development are therefore And encompass the manifestations of “ill-being” that can be encountered in modern life. The most common reasons are stress, fatigue, overwork, anxiety, and loss of self-confidence. Any distortion of listening too much entails the very loss of the desire to listen which in turn will generate a decrease in the desire to communicate, either by resignation or lack of confidence resulting from the difficulties to be able to do it effectively. Communication difficulties can take very different forms. For example, they may show an inability to accept the sounds around us without being attacked: the horn of a car, the slamming of a door, the high ambience of a restaurant, but also Certain voices, such as that of a co-worker, a relative, a friend … For some, it will be impossible to use his voice as a real communication tool, for lack of control of its various prosodic components : Intonations, inflections, rhythm, intensity. The voice will then be perceived as aggressive, cold, or deprived of any power of expression by the individual who receives it. These are severe and early disorders, characterized by delays and impairments in the development of social, cognitive, and communication skills. The Tomatis® method has been shown to be effective in helping people with various degrees of the autism spectrum disorder, from pervasive developmental disorder to Asperger’s syndrome. Many approaches are available to help people with these disorders. Our method can not be exclusive.